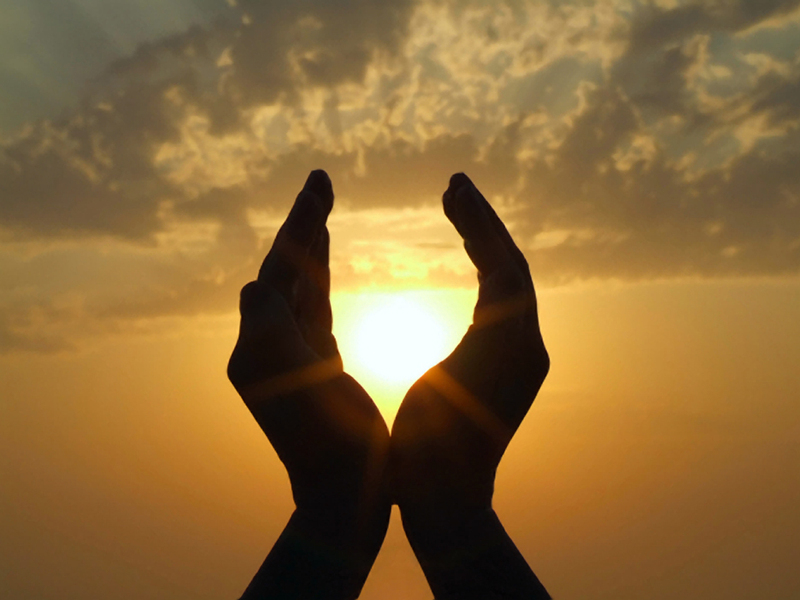 Question: Please define what is it “spiritual” or “conscious” person, what does it mean to be one. Answer: The defining quality of spiritual consciousness is that through recognition and acceptance of the existence of limitations of perception–immediately recognizable by observing the relationship between one’s current comfort zone and current struggles–one gains increasing awareness of, and hence identification with, the spirit or causal body (anandamaya kosha)–distinguished from the physical body (anamaya kosha), the life force (pranamaya kosha), the mind (manomaya kosha), and the faculties of cognition (vijnanamaya kosha). Sadhana is a blessing and an answer to the prayers of the aspirant for answers. It is not an act of cruelty of the guru to refuse to interact with the sadhak until the prescribed sadhana has been completed. There is no substitute for one’s own practice. Who do you think is living the fuller life? The adventure seekers on television or the ones that are watching them from a couch at home eating potato chips? The people living the game, or the ones at home playing video games? 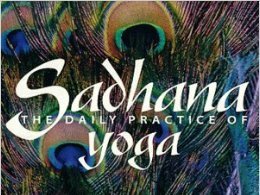 Sadhana bridges the gap between the experience of being an aspirant and the experience of being one’s own guru. That is the purpose of external living guru, only to guide the sadhak to his own light such that he no longer feels desire for the light of the guru. Sadhana is different for each individual, and appropriate sadhana is to be assigned by a competent guru or teacher from whom the aspirant derives inspiration in his own journey. There is something to be said about survival. Is it egotistical to call oneself a “guru”… a “guru of tantra”? This is an on-site course in the Art of Living in our Yoga Center in Dharamsala, India. Please click here for more information about course details. All courses must have the first week paid in full before arrival. The remaining balance for longer stays than 1 week can be paid on arrival, or can be paid before for a discount of 10%. Please email me to book your longer stay. 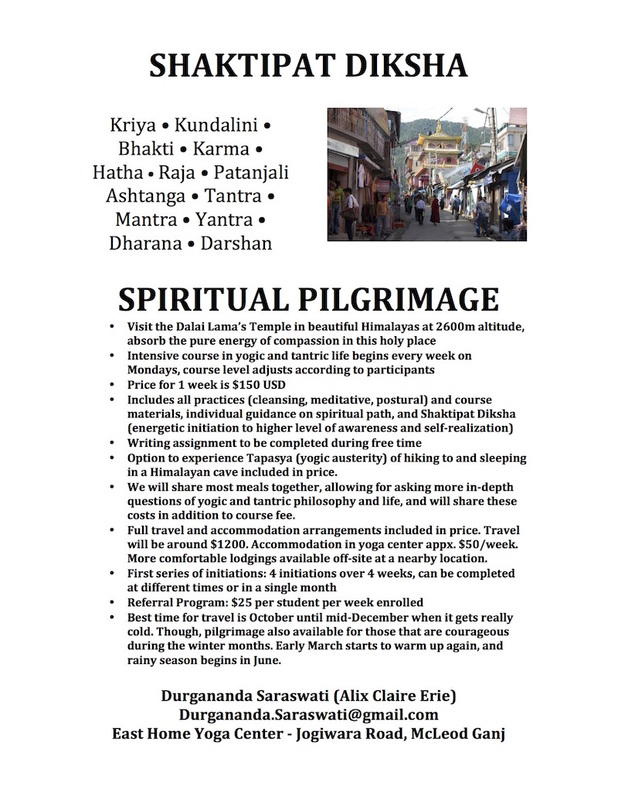 Help keep Durgananda Saraswati running! Make an offering. Do your part to make the Goddess come alive. Donate today.